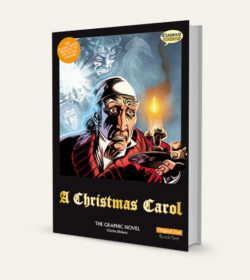 Designed for the classroom, this resource book (spiral bound for easy photocopying) contains activities and exercises to help the teaching of Charles Dickens’s A Christmas Carol. 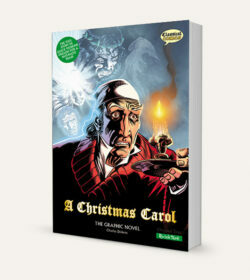 Dickens’s holiday classic has captivated readers since its first publication in 1843. 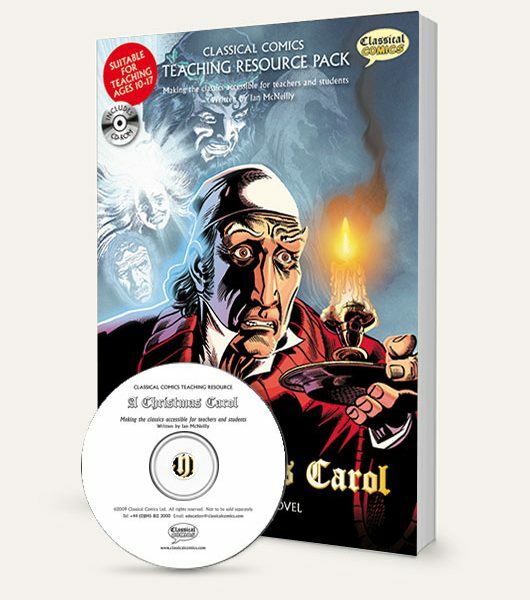 Although it was designed to be used alongside the Classical Comics graphic novels, this teaching guide uses the novel as a springboard for learning and it can be used with any version of the book. 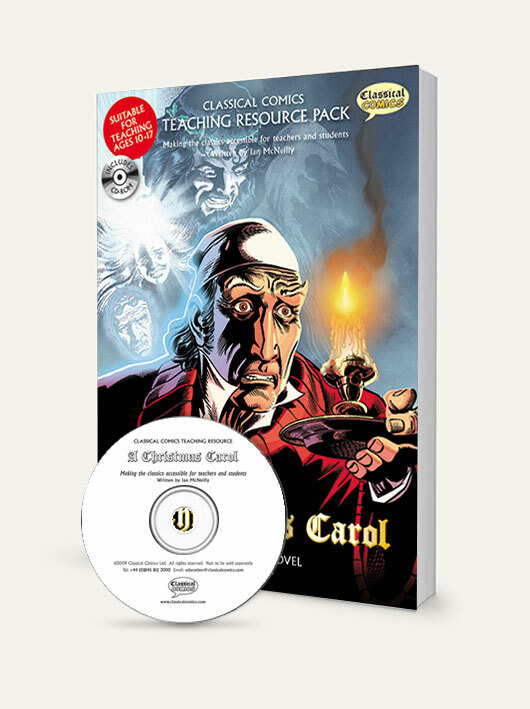 The exercises have been approached from a cross-curriculum perspective so that they cover not only literature and literacy, but also history, technology, drama, reading, speaking, writing and art. The book is divided into such categories as Charles Dickens: His Place in English, Understanding the Novel, Character, Language, and Creative Writing. Students get to design their own Christmas card, write a modern version of the story, write a book review, color pages, solve anagrams, and more while they learn.